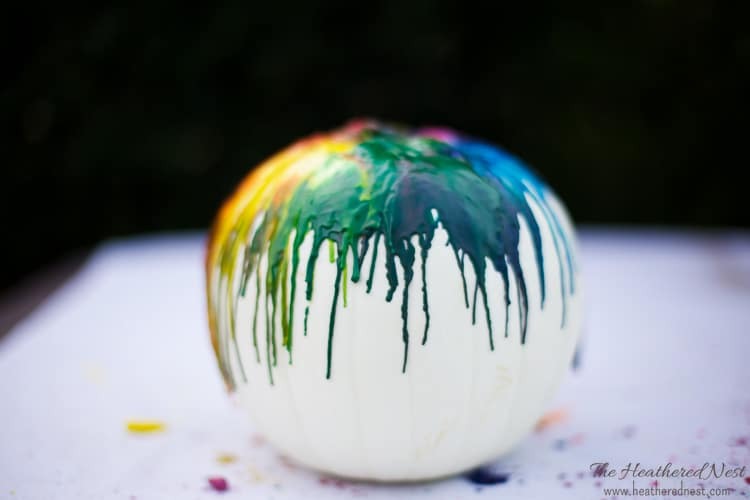 Want to make a melted crayon pumpkin, or crayon “fun”kin this year? Here’s how! 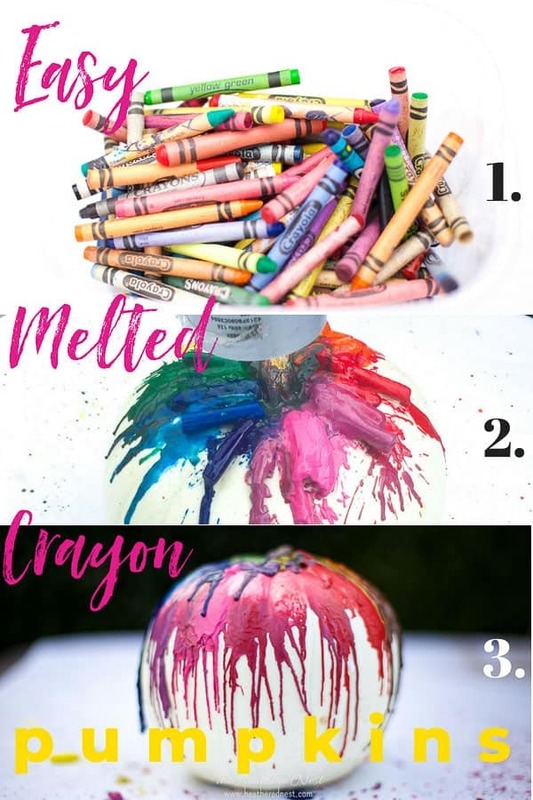 This melted crayon pumpkin idea is so popular! And rightly so. You’re a parent, right? Is it fall? 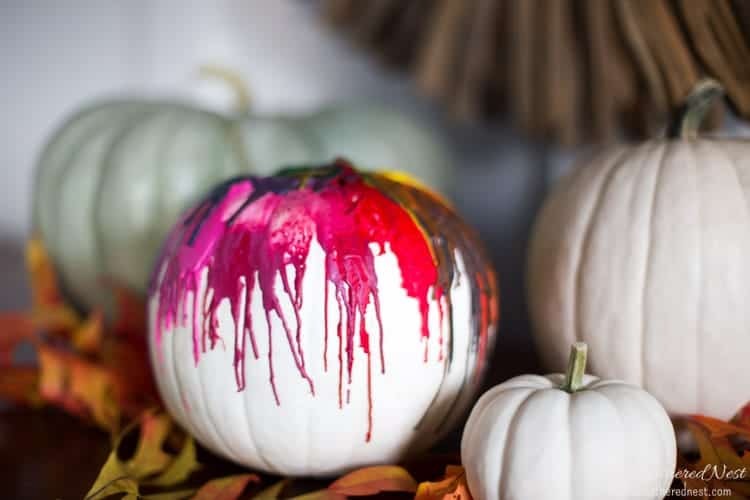 If your answers are “YES”, you should have everything you need for this easy melted crayon pumpkin craft at home already. 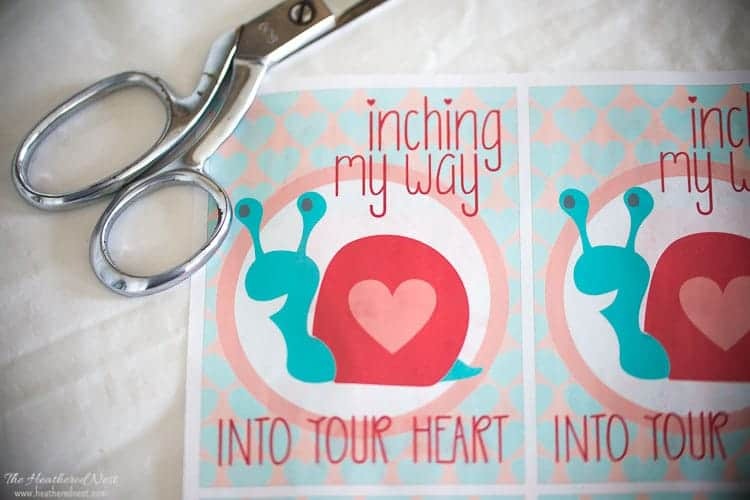 And your kids will LOVE doing this craft. 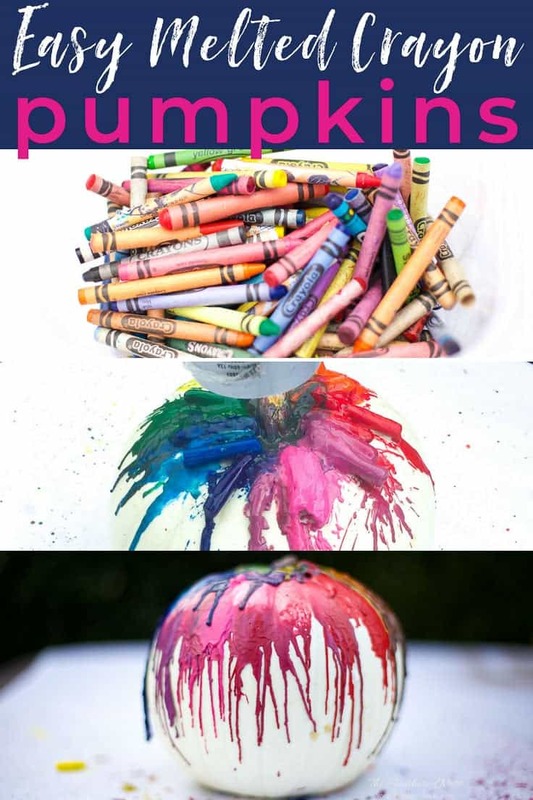 It’s messy, colorful, and involves pumpkins & crayons…so that checks a bunch of pre-requisites off their list. 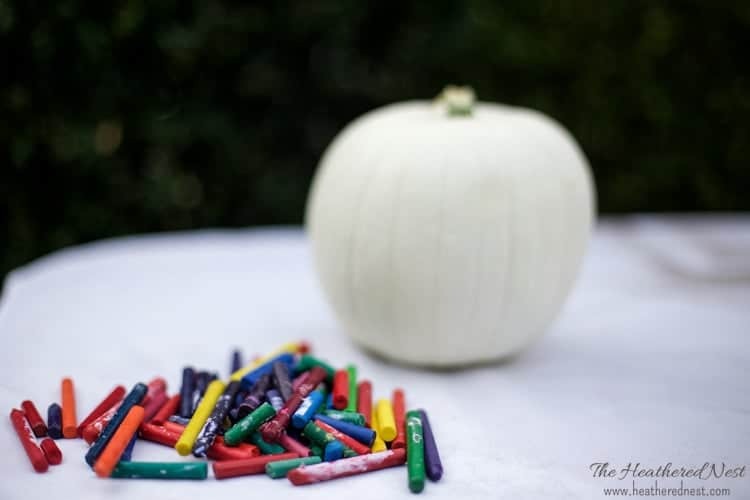 Here’s a quick video tutorial that will show you how to make this melted crayon pumpkin craft. The details on supplies, etc are below. 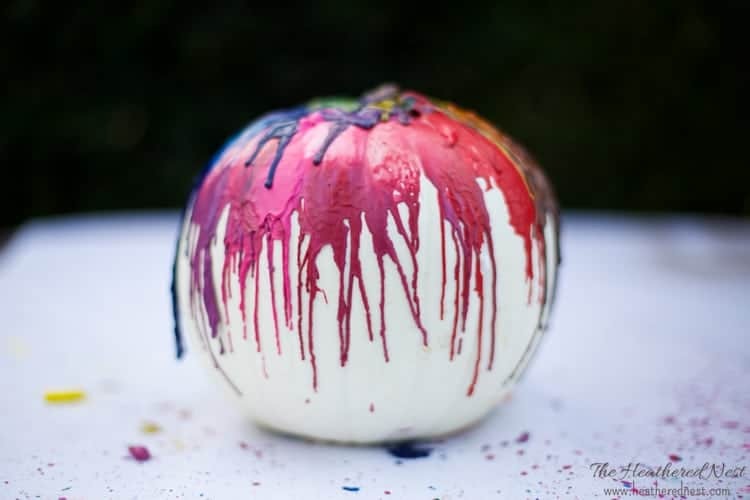 And now let’s gather the supplies you’ll need to make your own melted crayon pumpkin! No one has tons of time on their hands around the holidays! 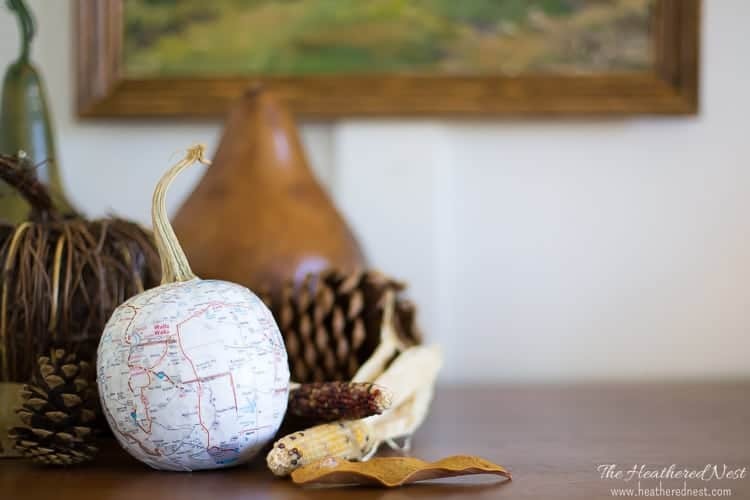 Make your life easier (and prettier, too) with your VIP access to our seasonal free printables! Click the pic below to get instant access now ⤵️! 1.) Remove labels from crayons. 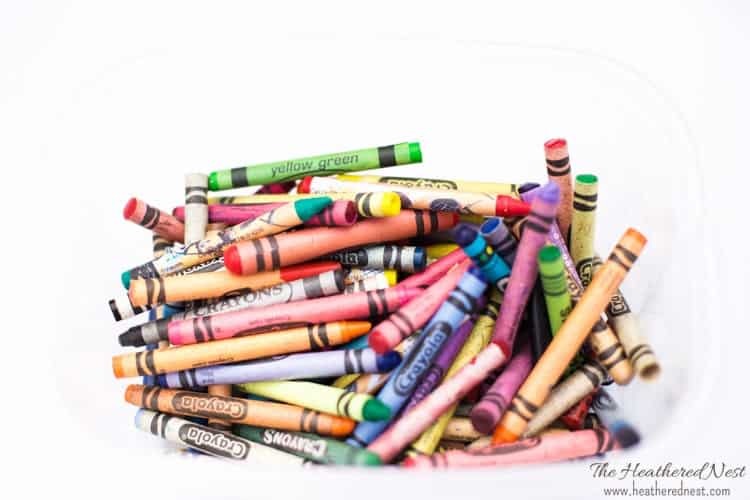 Get out that big container of gnarly old crayons. 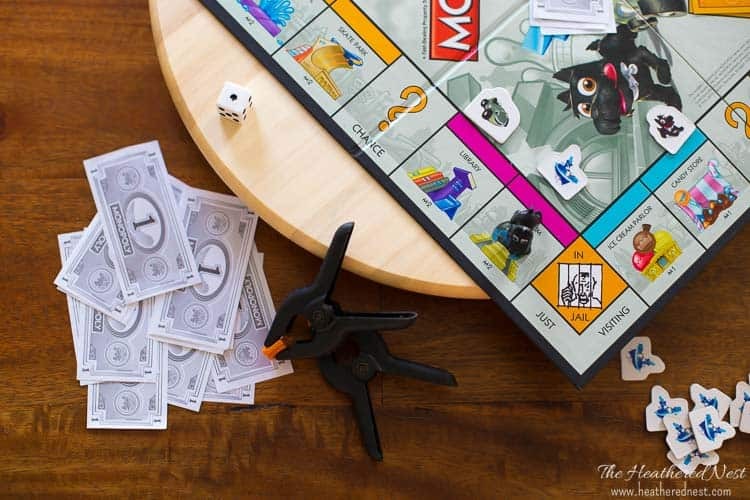 The ones you’ve collected over the years from the birthday party goodie bags, brunches at Cracker Barrel, the leftovers that come home at the end of the school year…this is a good way to clean out your crayon stash. 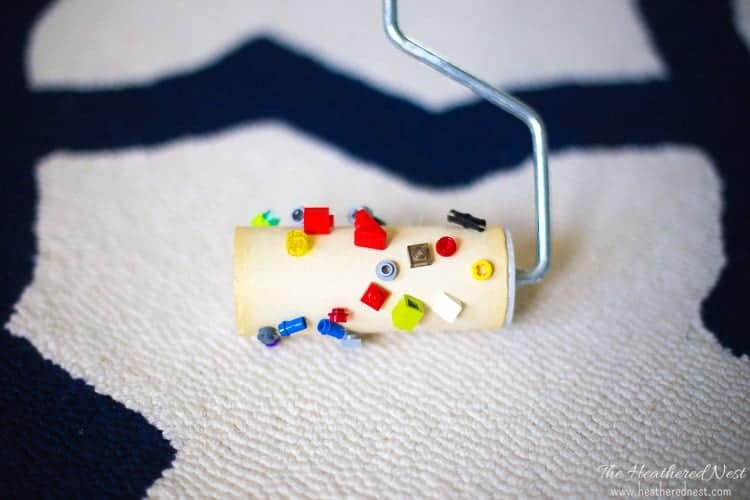 The best crayons to pick for this craft are the primary colors, and the banged up, broken down odds and ends at the bottom of the heap. Pick out your choice crayons, and *SOAK THEM IN (warm works best) WATER for a few minutes*. 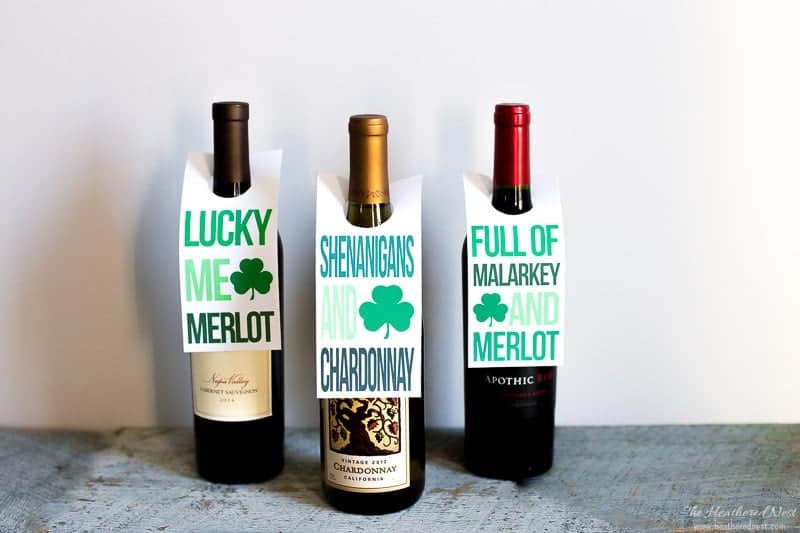 This will make removing the labels much easier. 2.) 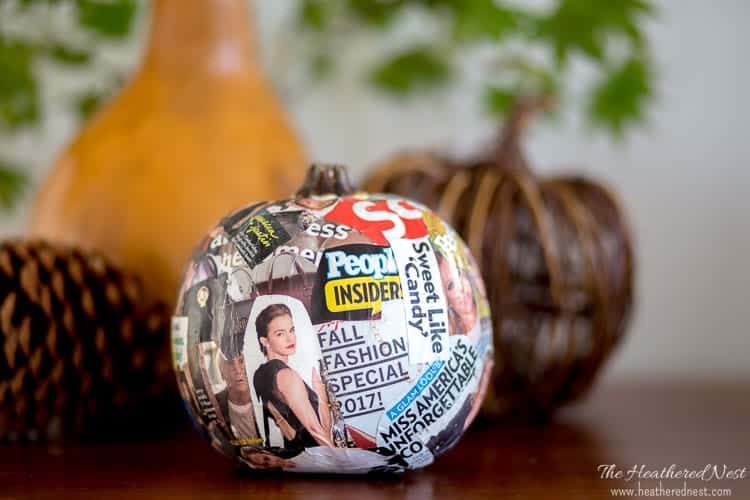 Apply glue to top of the pumpkin. 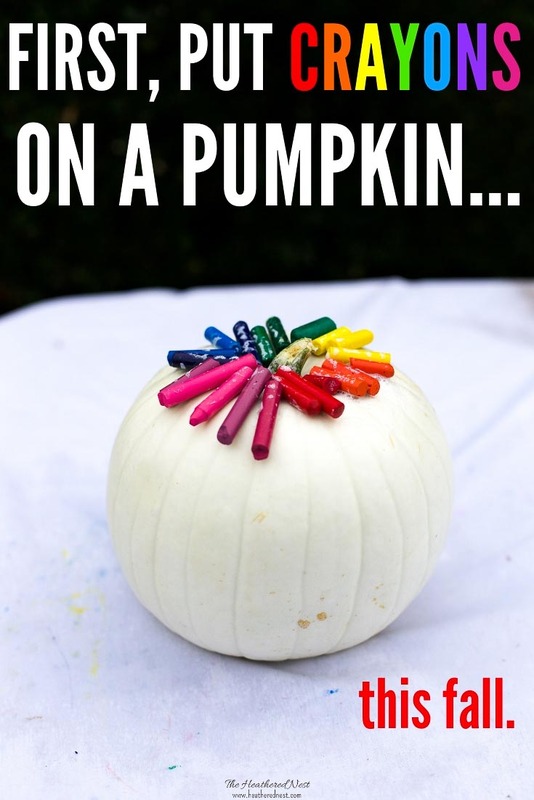 Liberally apply glue all around the top area of your pumpkin. 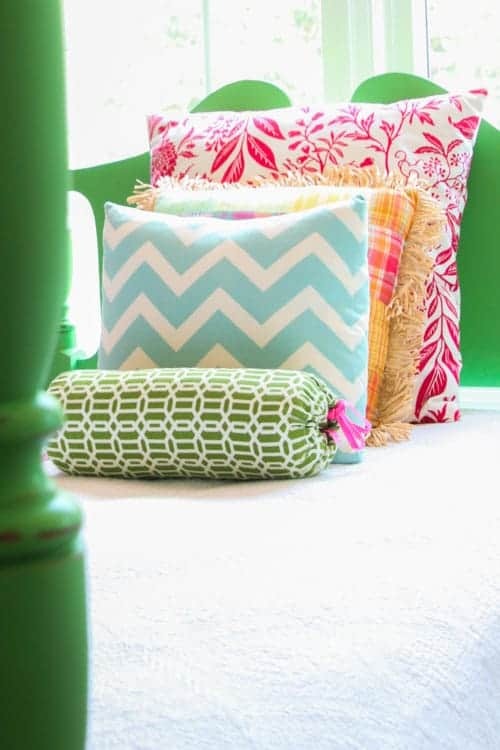 This is where you will set your crayon pieces. 3.) 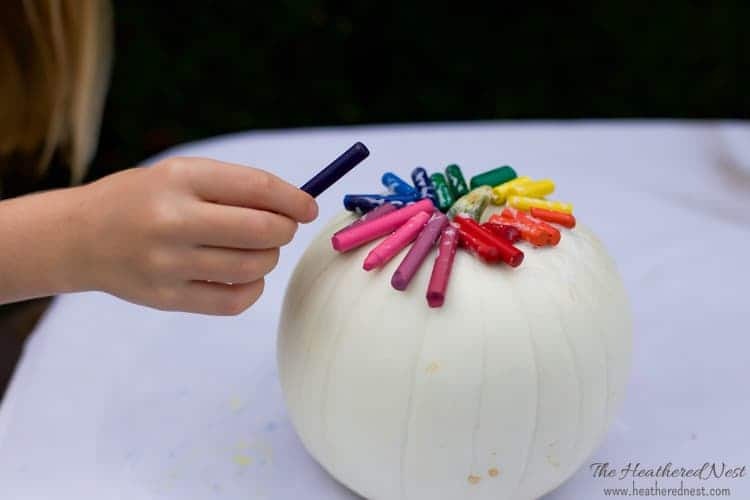 Place crayons around the crown/top of your pumpkin. 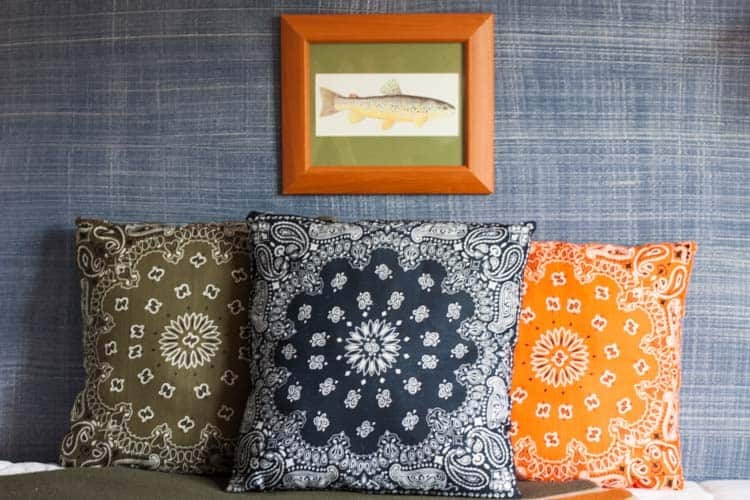 We found that it was best to arrange the crayon pieces in rainbow order, but hey, your kiddo wants brown and black mixed in with a little green? 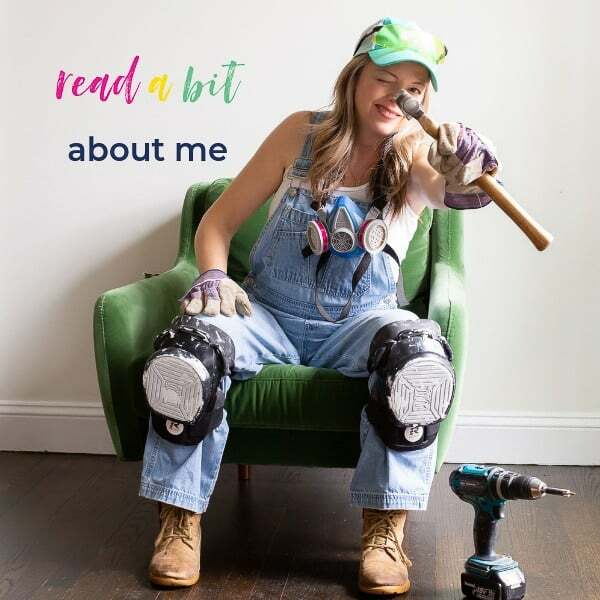 Who am I to squelch creativity? Just stick em in the glue as you see in the image above. Now LET THEM DRY. Don’t attempt to move on until the glue is at least mostly dry. 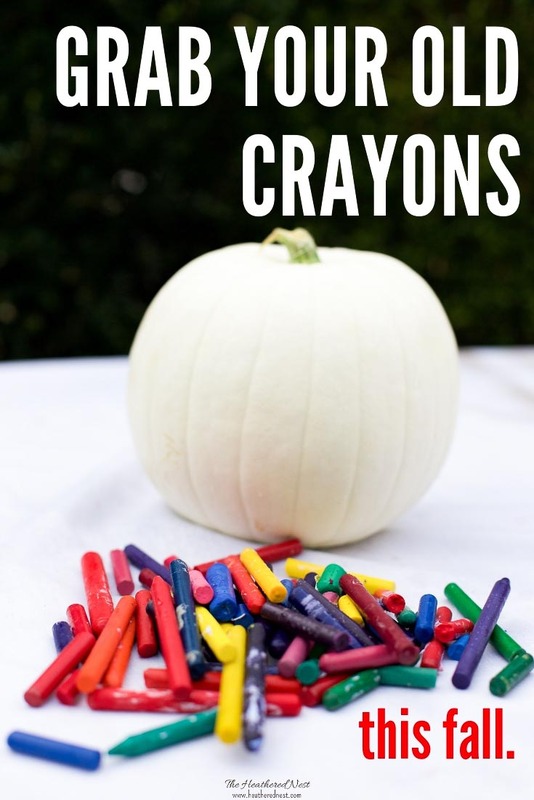 Otherwise, the crayons will blow right off the pumpkin when you hit them with the dryer. 4.) 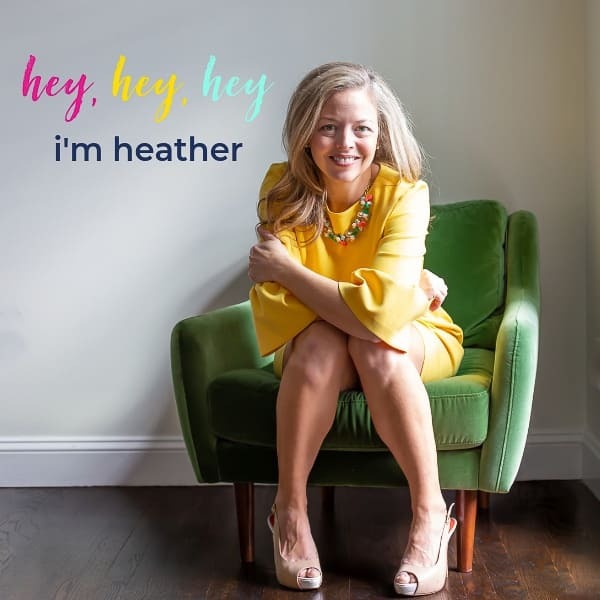 Fire up your blow dryer. Once the glue is dry, it’s time to melt those crayons. We used high heat. 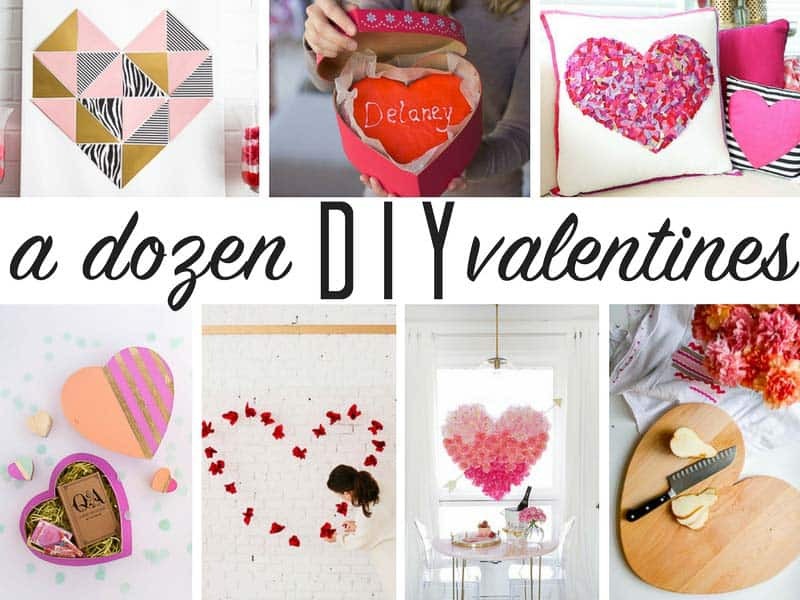 **IMPORTANT…this is a MESSY craft. It takes about 1 minute to get the crayons to start melting. 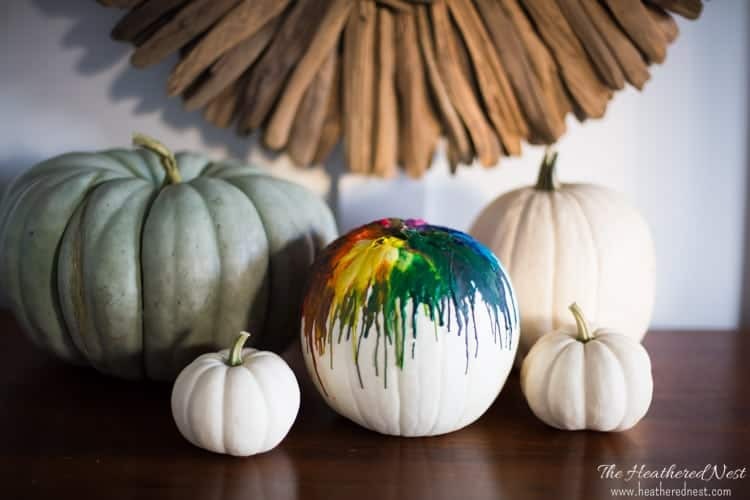 Continue using the dryer on the crayons until the pumpkin achieves the look you want. 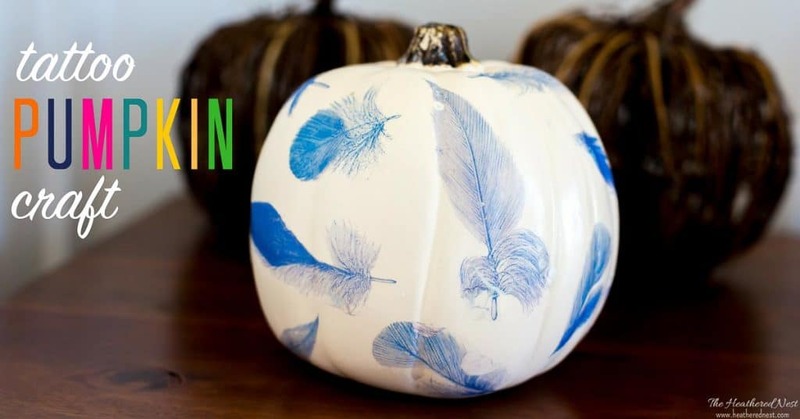 Being a lover of all things colorful, this pumpkin is perfect for our fall decor. 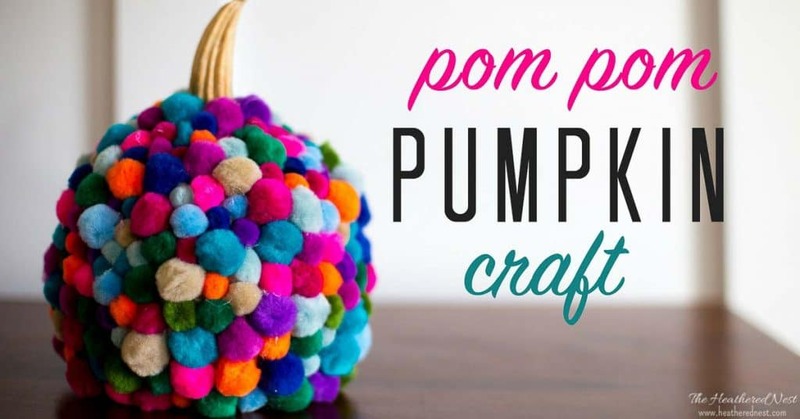 We hope it’s a fun little DIY pumpkin craft that you can enjoy with your brood, too! 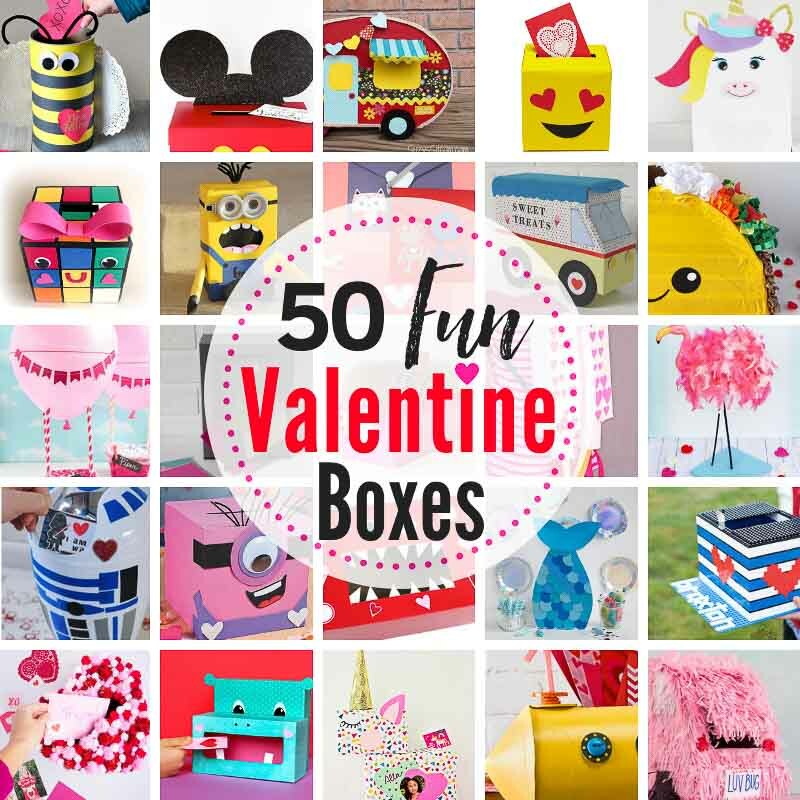 Don’t forget to grab your free access to our fun and festive seasonal printable library! It’s easy to join. Simply click the pic below and you’re on your way ⤵️! 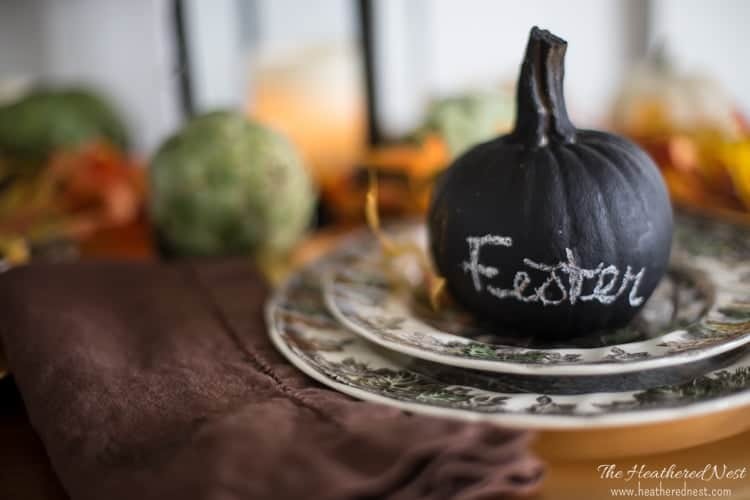 And if quick and easy fall decorating is your thing, check out these fun, one-minute chalkboard pumpkin place cards! 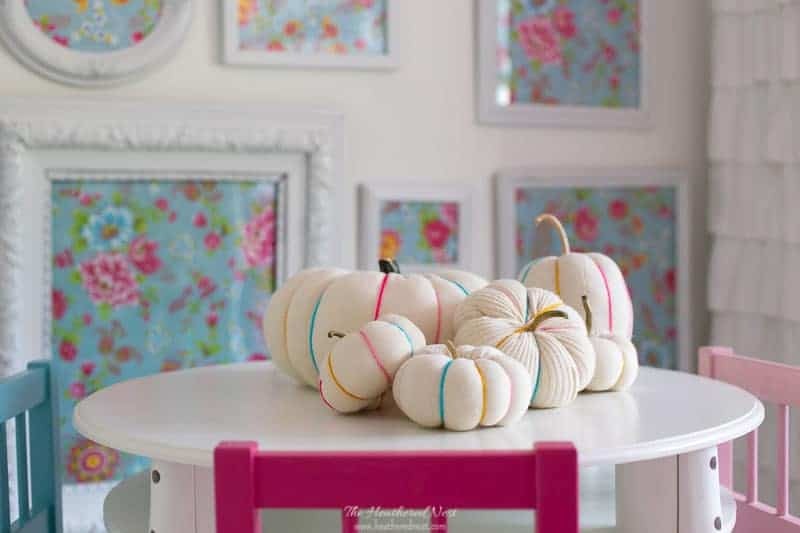 Or these adorable pom pom pumpkins. 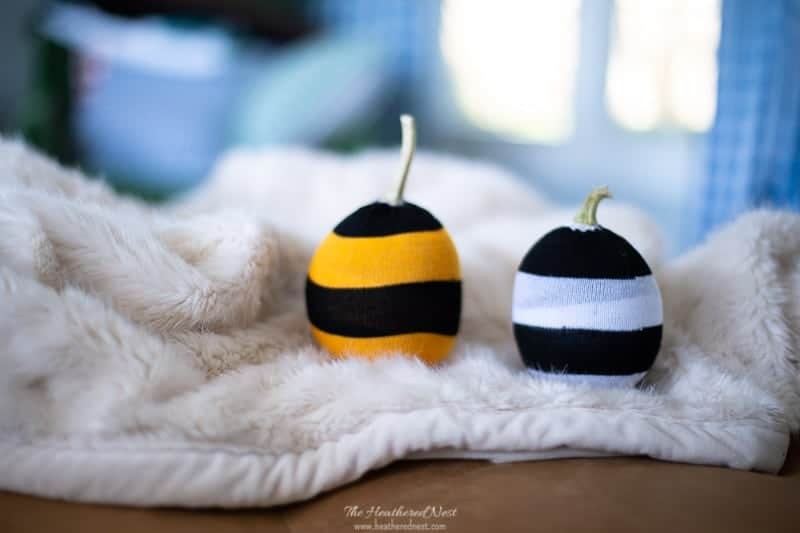 How about some easy scrap fabric pumpkins? 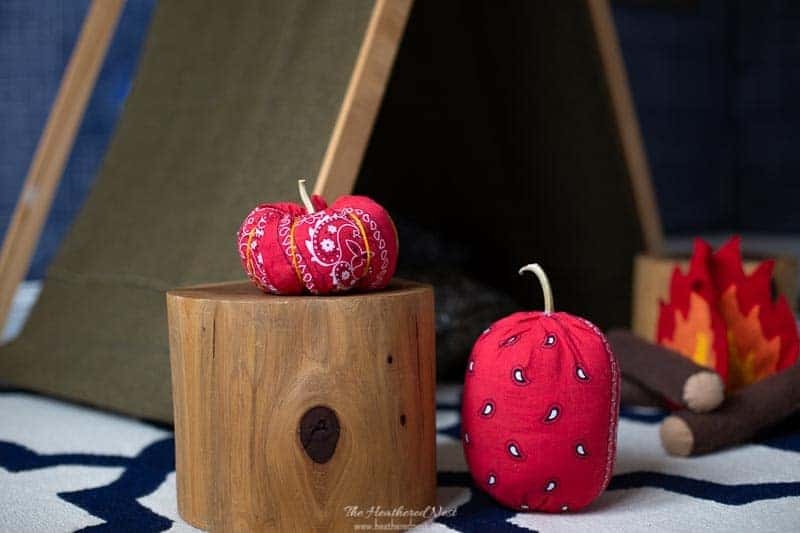 Or dollar store bandana pumpkins?